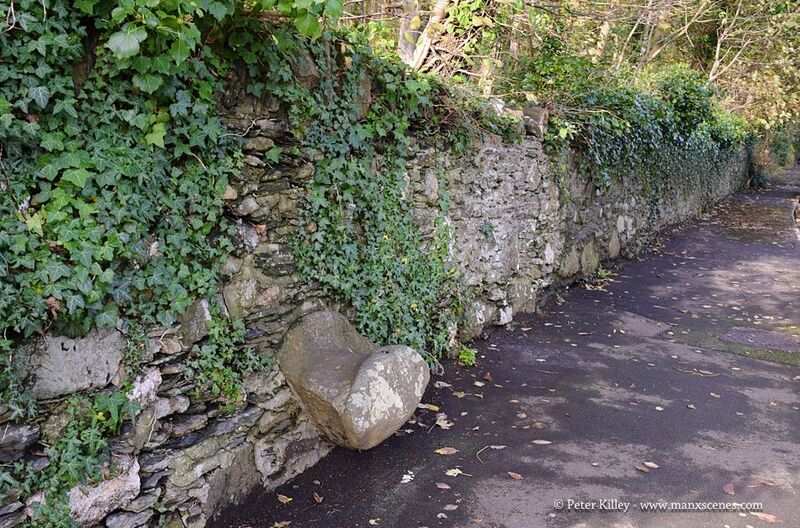 The famous ‘Saddle” wishing stone according to old Manx legend is ridden every night by the fairies. Today people sit on this “Saddle” and make a wish. We must have driven down Saddle road but I don’t remember seeing this, or hearing the story. On a more mundane note, I assume this was to help people mount horses? I wonder how many cars scrape their ides on it if they get too close. Many the times I had made a wish upon the saddle, but if my memory serves me, the saddle was much higher in the wall. Still it’s good to know, that it still remains, and what a wonderful legend to go with it.